Dr David Faddis from Park System describes the XE-Bio AFM. 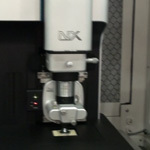 This atomic force microscope belongs to the XE family of AFM's meaning that it uses the decoupled X-Y and Z scanners for improved imaging. They also feature easily removable scanning heads to allow rapid probe changes. The XE-Bio is aimed at biomedical applications and can scan living cells in liquid media. It also incorporated unque SCcanning Ion Conductance Microscopy (SICM) technology. This technology uses a full quartz pipette in place of the normal AFM probe. The XE-Bio is the perfect instrument for non-destructive real time imaging of living cells and biological systems, and observing real time fluctuations. 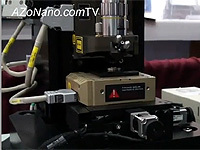 It also features a standard optical microscope allowing normal microscopic examination.